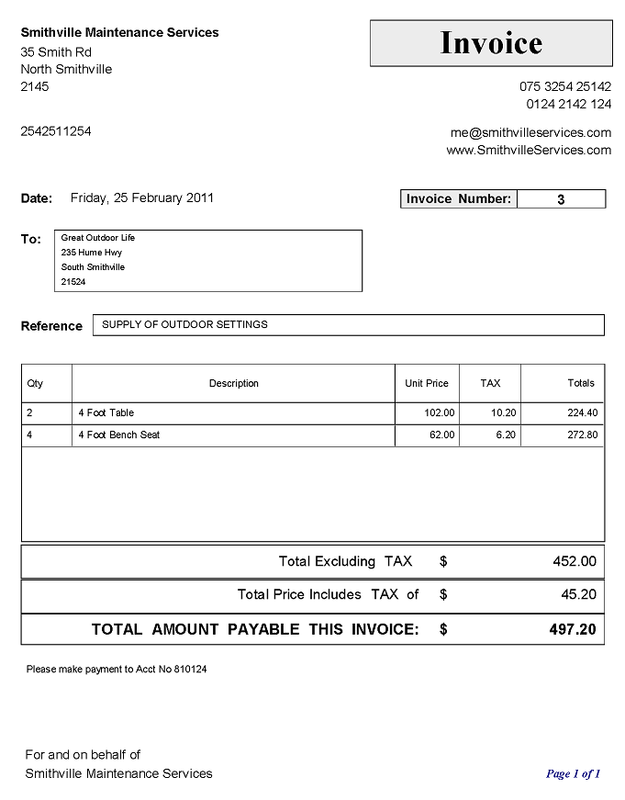 Invoicing clients for payment of money can be one of the most exhilarating things a Small Business does. By Using our one stop invoice template it enables you to perform this task with a minimum of fuss. Invoicing is the time when you have the opportunity to see the results from all your effort and provides some sense of achievement. Unlike larger companies where the bookkeeping and issuing of invoices can be just another task of an employee, for most Small Businesses it is usually the owner, partner or someone closely connected with insuring the success of the business. Which is why this can be an exhilarating task for many Small Businesses. 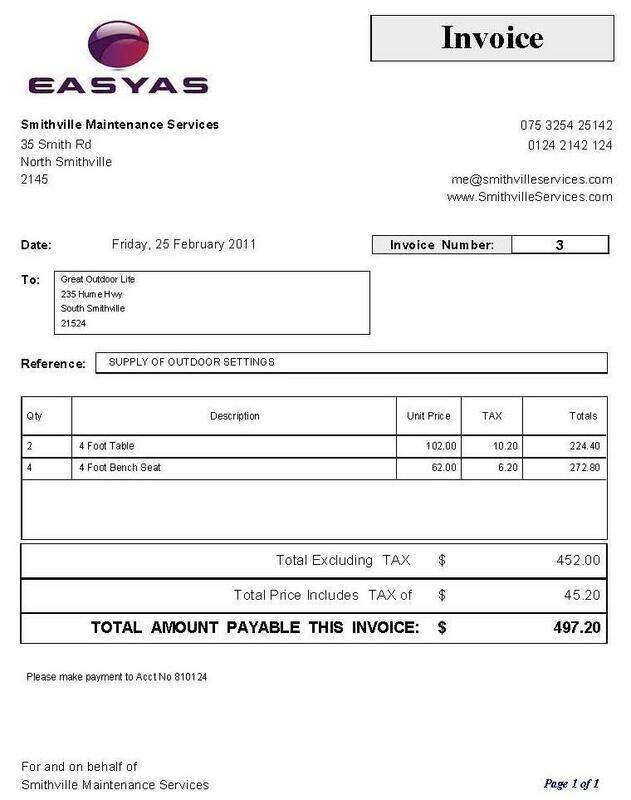 The EasyAs software comes with a standard inbuilt invoice template. The design has been refined over 1000’s of uses to become a set format which is being accepted worldwide. 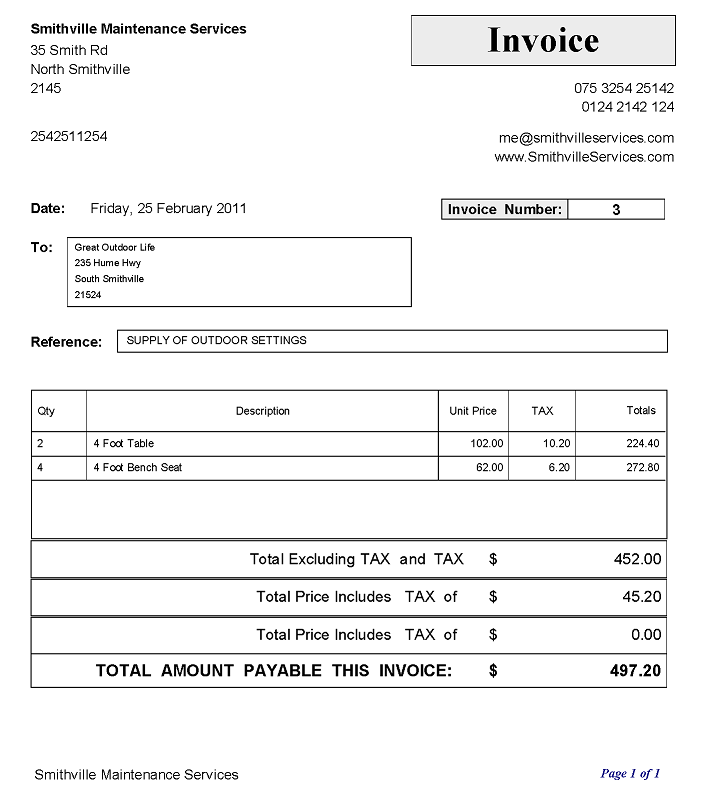 You have the opportunity to produce 2 Types of Invoices in EasyAs. As many small business issue Quotes for jobs the Quotation will usually contain most of the information necessary for the Invoice. 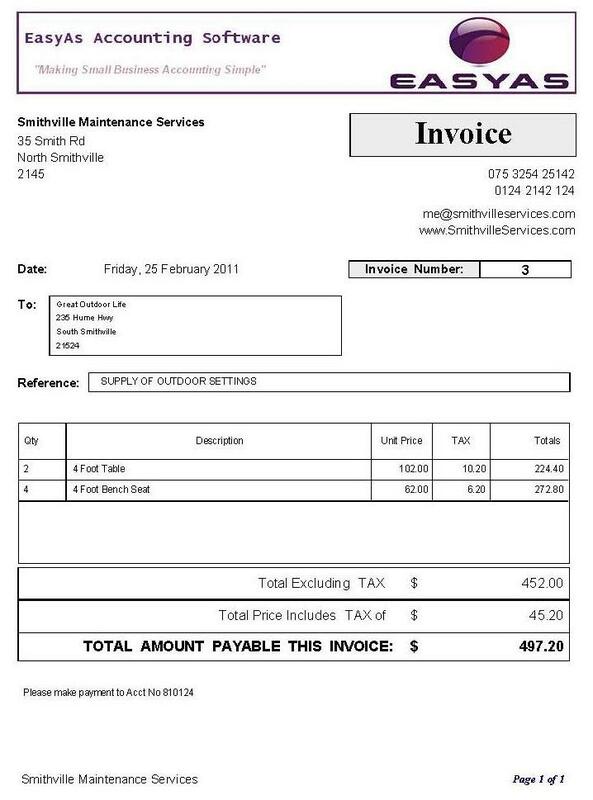 With EasyAs you can quicken this process even further as you can use the basis of your quotation to create and issue your client the invoice. This can save you all the hassle of having to retype all the information which is already found in the quote. 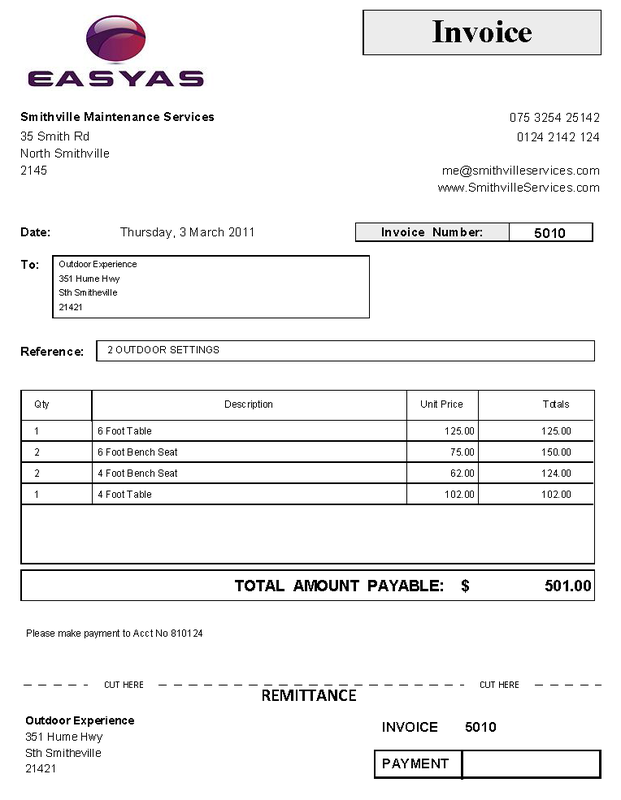 With EasyAs you also have the ability to add a Remittance Slip to any of your Invoices at the click of your mouse. This makes it easier when recording payments received from clients as they can cut the remittance slip of the bottom of the invoice and return it with their payments.